Choreography and direction: Andrés Corchero. With: Javier Cárcel, Ferran Echegaray, Jordi Font, Carlos Gallardo and Anna Vendrell. 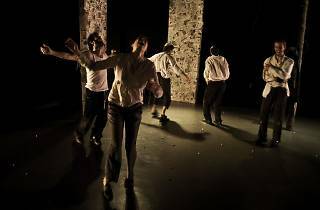 'Personne' is a new piece that's come out of the workshop of the last course in physical theatre of the ESAD de l’Institut del Teatre, presented in 2013 in the Teatre Alegria de Terrassa under the title 'Si és que sóc jo i no sóc jo' (I'm me but not me'). 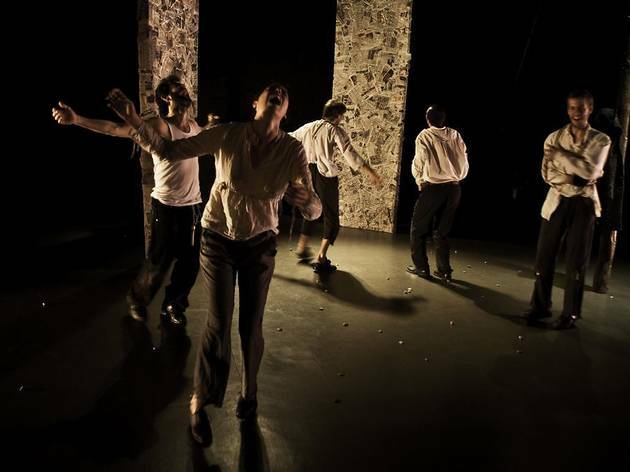 'Personne' is a delicate work that doesn't try to explain history that Samuel Beckett describes in his novels, but that uses his words, incorporates them via the body and transforms them into dance, movement and physical theatre.